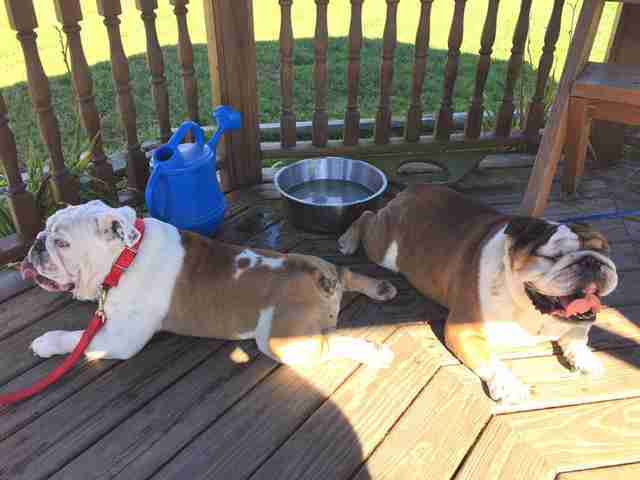 “Rod really took to his new foster brother Mongo. They never leave each other's side. They pee in the same spot. They eat hot dogs together." Rod was neglected so badly in his former home that an untreated eye infection caused him to go blind. 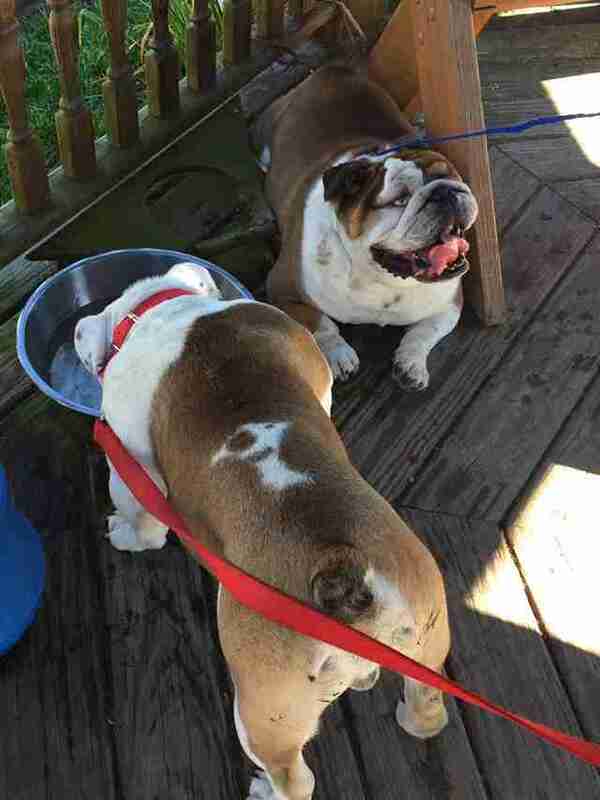 The 7-year-old bulldog was eventually surrendered to the Griffin Pond Animal Shelter. He also had extremely infected ears, and was in generally very bad shape when he finally arrived in the safety of the shelter. After being examined by a vet, it was determined that Rod only had about 10 percent of his vision. The vet immediately started Rod on treatment for his infected eyes, and his vision began to improve a little bit every day, until he was no longer running into things and seemed to be able to navigate his surroundings. He’ll never have full use of his vision again, but thanks to his rescuers, he can see at least partially, and that’s a huge improvement. 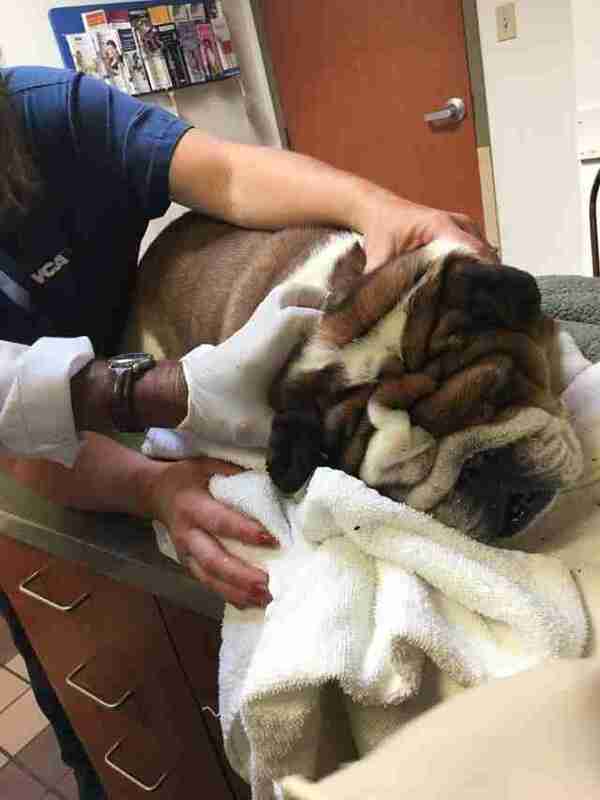 “The sad thing is if his owners simply treated his eye infections, Rod would probably have 100 percent of his vision,” Chris Mathewson, development director at Griffin Pond Animal Shelter, told The Dodo. Despite the improvements to his vision, Rod still seemed incredibly unhappy. 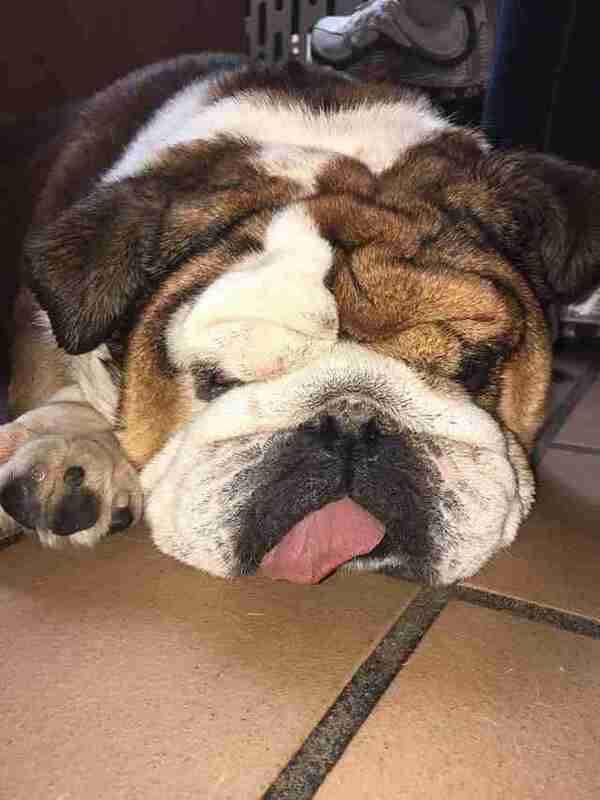 His long life of neglect and mistreatment had worn him down, and the poor bulldog was having a tremendously hard time adjusting to life at the shelter. 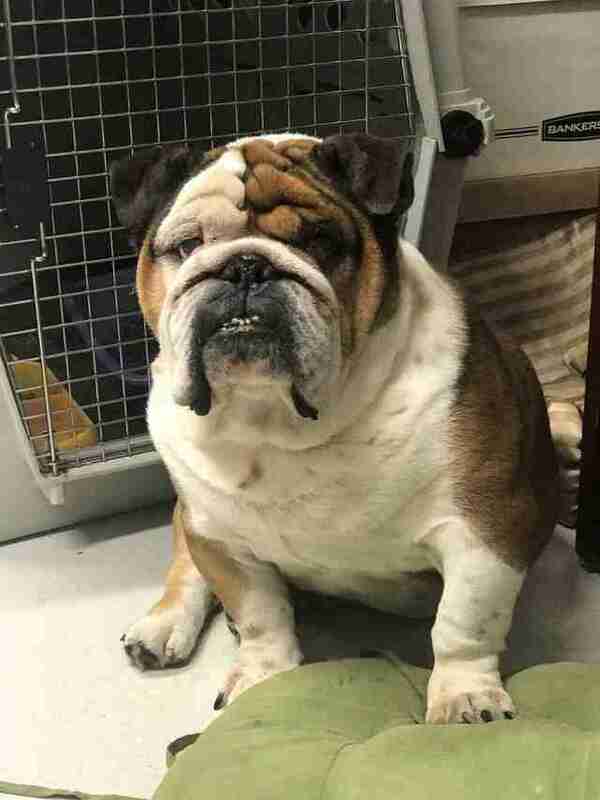 He was rescued at the same time as another dog, a pug named Rocky who also had severe eye infections, who found his foster home shortly after arriving at the shelter. 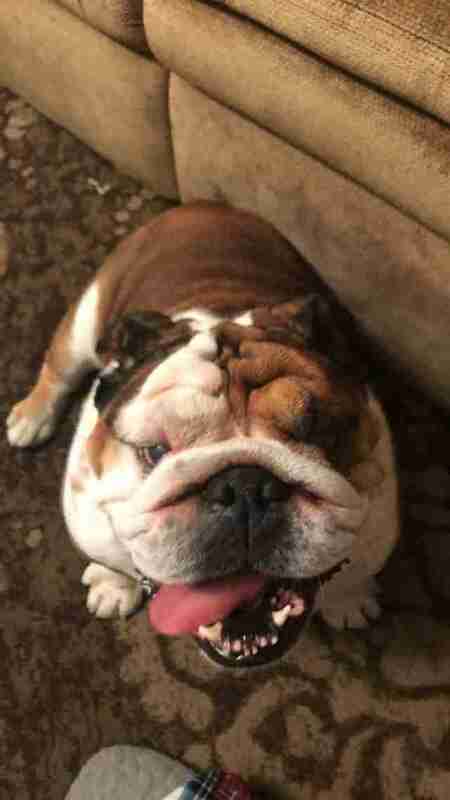 Finally, a week after arriving at the shelter, staff found Rod a foster home with a bulldog foster brother named Mongo — and as soon as he arrived in his foster home, Rod transformed into a completely different dog. It seemed that all Rod needed to be happy was someone to show him that not all homes have to be miserable. Rod’s new foster family loves him so much and gives him all the attention he never had before, and he’s loving every minute of finally being in the right kind of home. When Rod arrived at the shelter, he was sick and defeated, but now that he knows what it’s like to be loved, he’s the happiest dog. He’s so excited to make the most of his new life, and is happy hanging out with his foster family until his forever family finally finds him. If you’re interested in adopting Rod, you can contact the Griffin Pond Animal Shelter for more information.